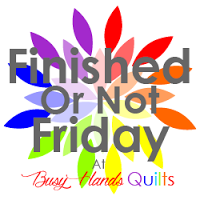 Welcome to Thank Goodness It's Finished Friday being hosted here again on the East Coast of Canada. 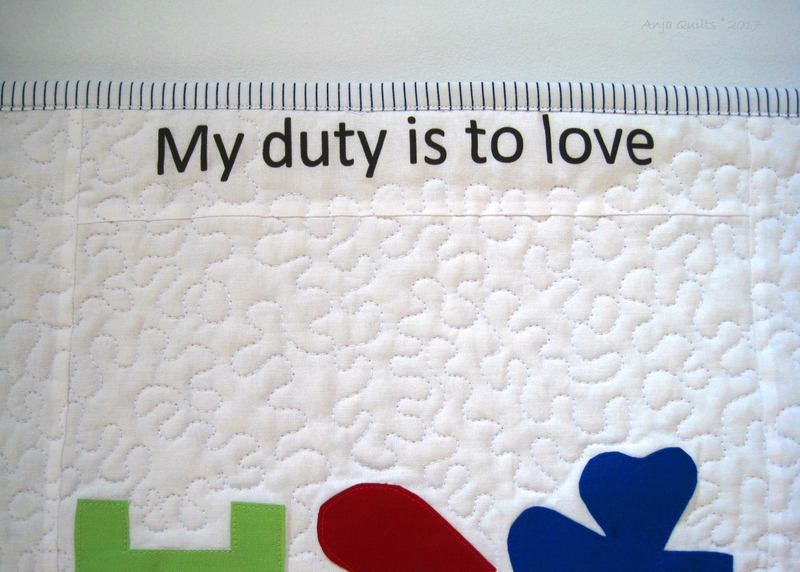 If you've been following me on Instagram these past few months, you would have seen the beginnings of these two quilts. 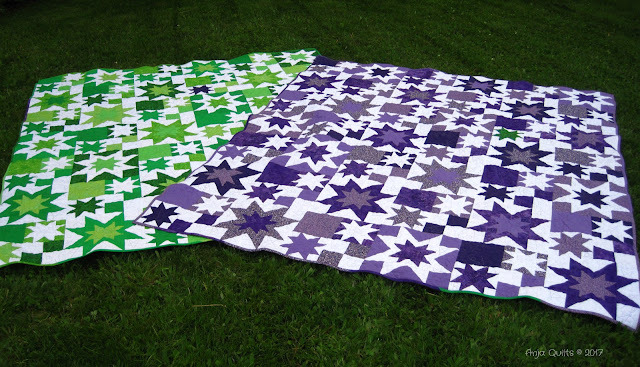 I was commissioned to make quilts for two adorable little girls in South Africa. 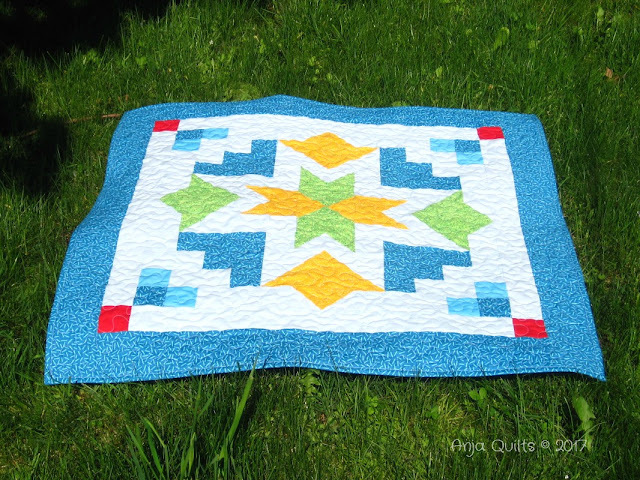 It was difficult to find just the right quilt pattern, but I finally found a photo over at Patchwork and Play. So I sent an e-mail to find out more information, and Susan kindly provided me with some information on the quilt she designed. 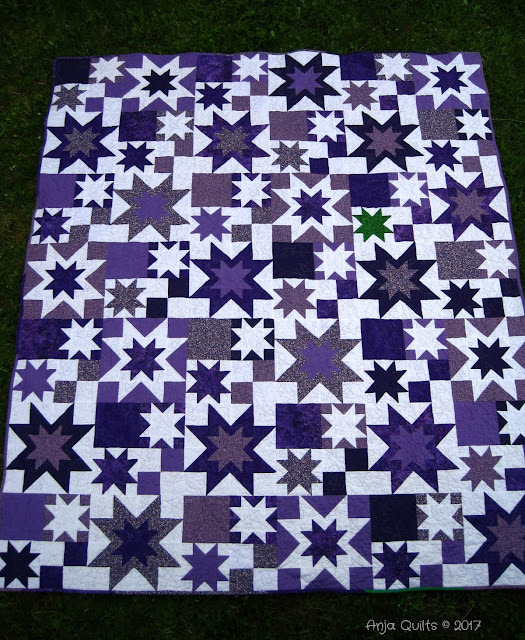 Here is the purple quilt. 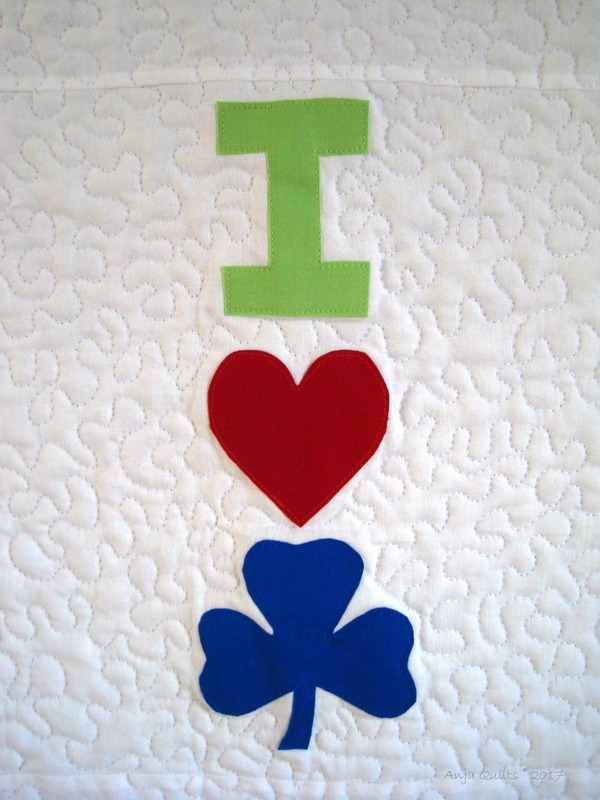 I ♥ these quilts. Star and loop free motion quilting in purple variegated thread. 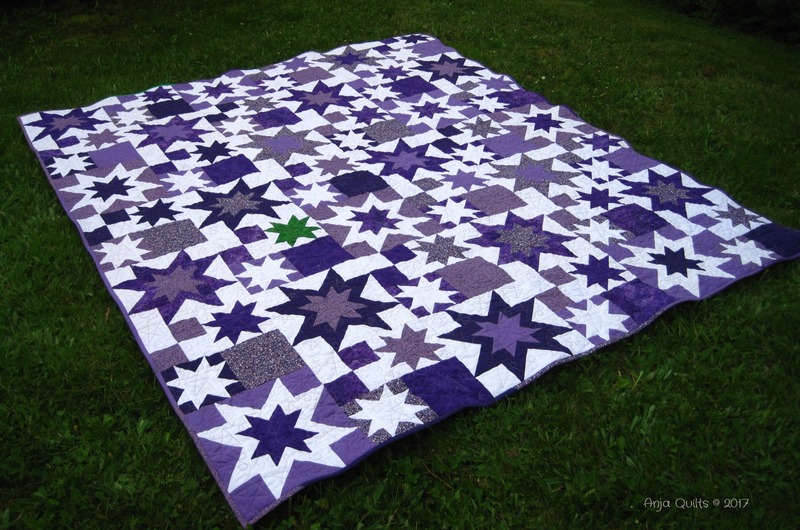 Because the girls are twin sisters, I put a green star (and small piece of green binding) in the purple quilt. 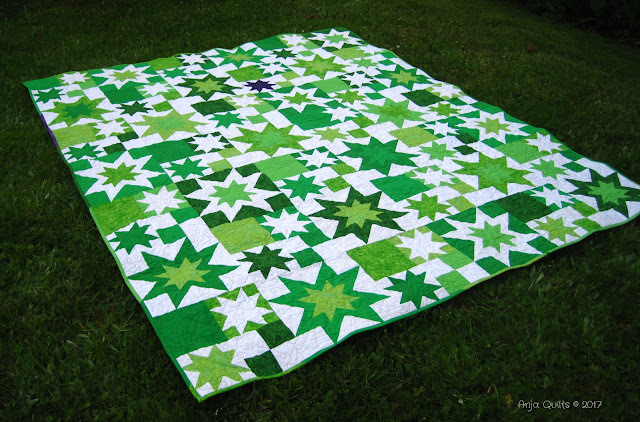 And here is the green quilt -- with a small purple star and piece of purple binding. 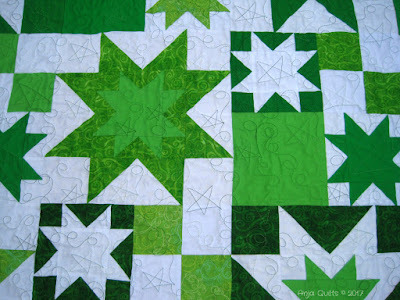 More star and loop free motion quilting with green variegated thread. The quilts arrived in South Africa today. 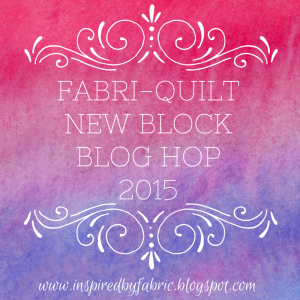 I was holding breath hoping that they would love the quilts. 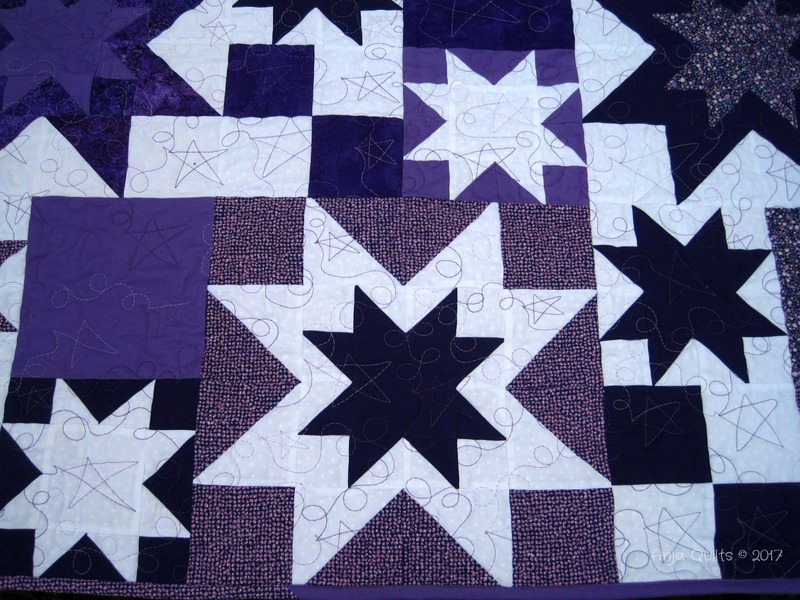 The quilts finish at 72 x 84 inches (12-inch blocks with a 6 x 7 block layout). I under-estimated how much time it would take to cut the fabric and piece all the stars. I cut it very close to my deadline. But I had a lot of fun making these quilts, and I hope the girls will use them for many years to come. Someday, I hope the meet the girls in person, but until then, I will watch them grow up through Instagram. 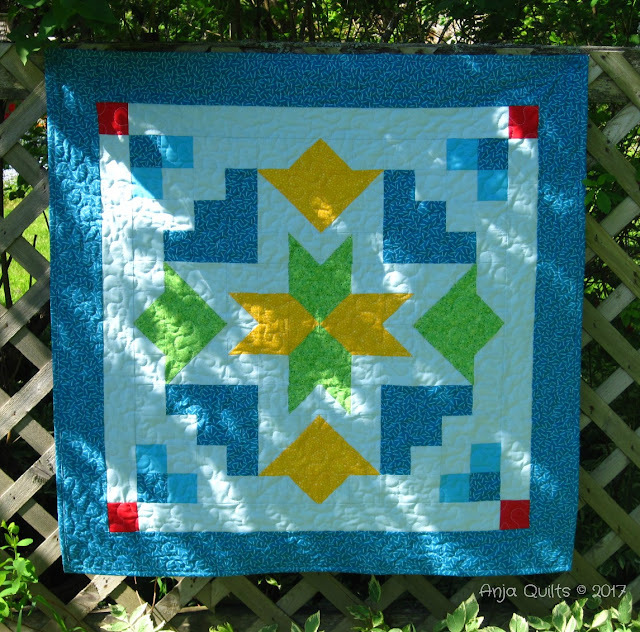 It's been a busy spring as I have been working on three commissioned quilts. Unfortunately, I have been working on all three at the same time, and they had specific (and not possible to change) deadlines. Two quilts have been shipped to Manitoba and are currently making the journey to their final destination in South Africa. Once they are received, I'll be able to share next week. 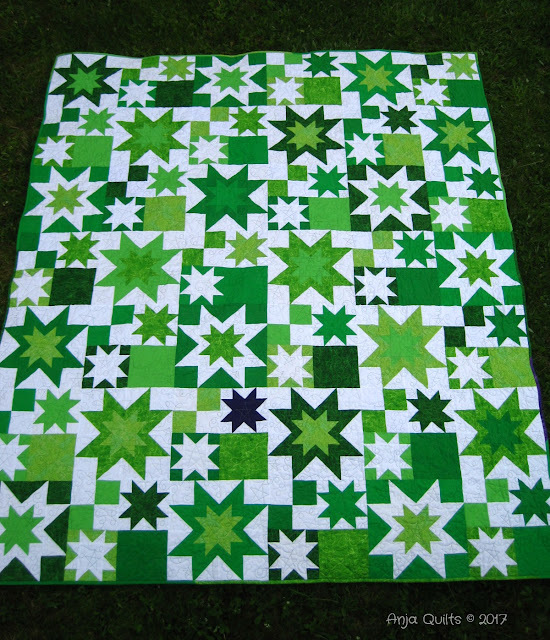 I'm currently working on the third and final quilt, which must be completed by July 10. 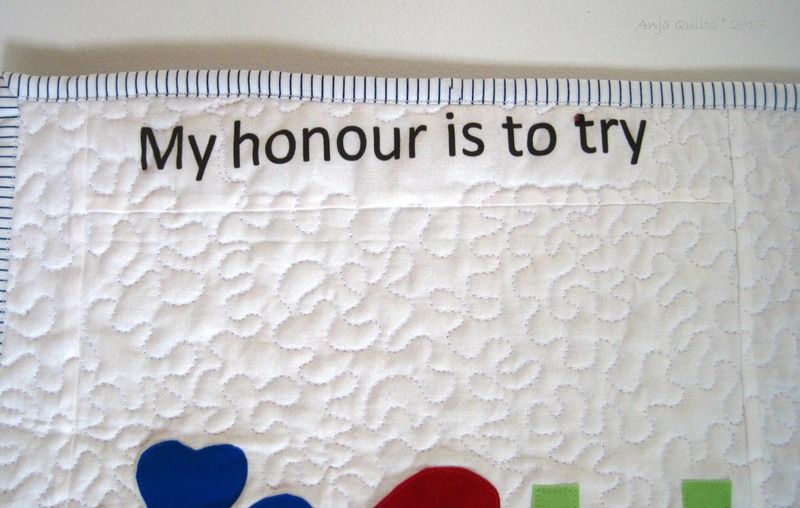 The colours were chosen to match a family tartan -- I can't share any more as the quilt will be a gift, and I don't know who may be reading this. I used three Kona: Juniper, Curry, and Grellow. Here is the star block. 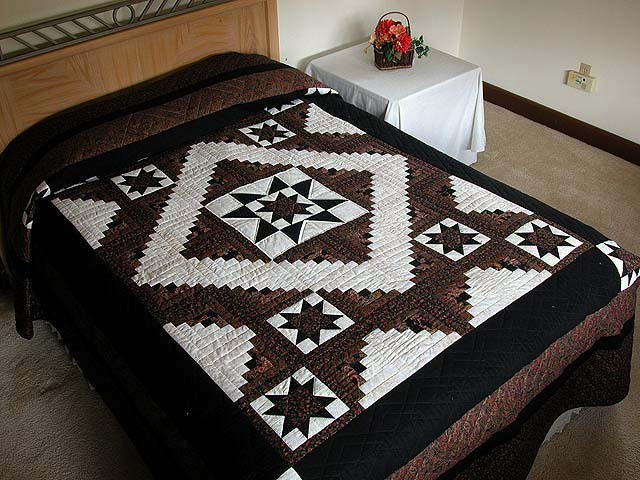 This is the log cabin block. I need to make another batch of these before I can begin piecing. 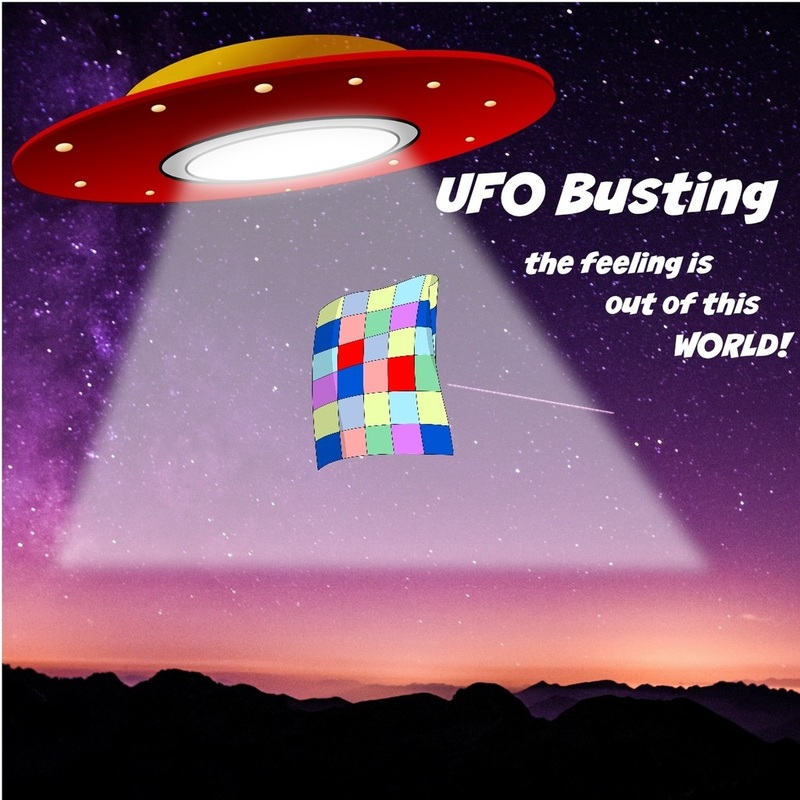 Thanks to Dena @ No Frickin' Blog Yet who helped with the math. 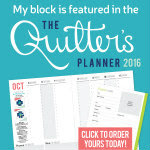 My customer found a pattern online, but there was not a pattern available for sale. 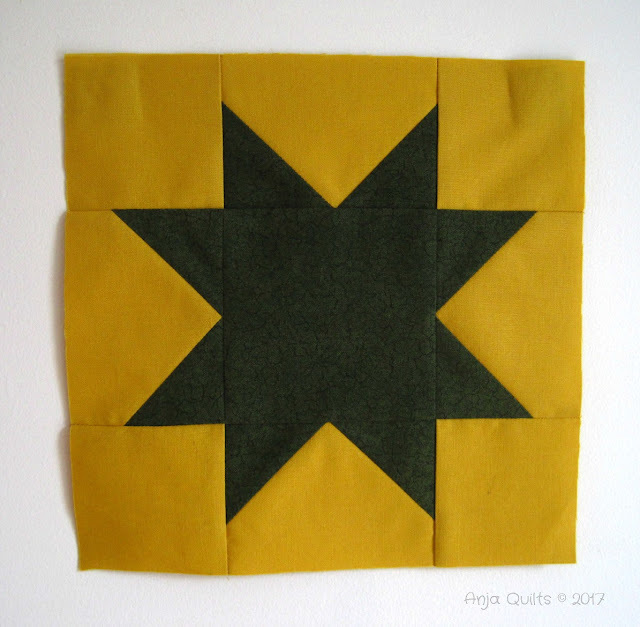 So I had to do a lot of math to figure out the log cabin and star blocks to give a similar effect and meet the requested quilt dimensions. The blocks finish at a non-standard size, so Dena's math expertise was greatly appreciated. This is the quilt which was found here. 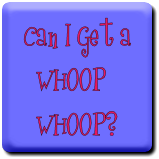 I realized this week that I neglected to announce the winner of my giveaway. My apologies. 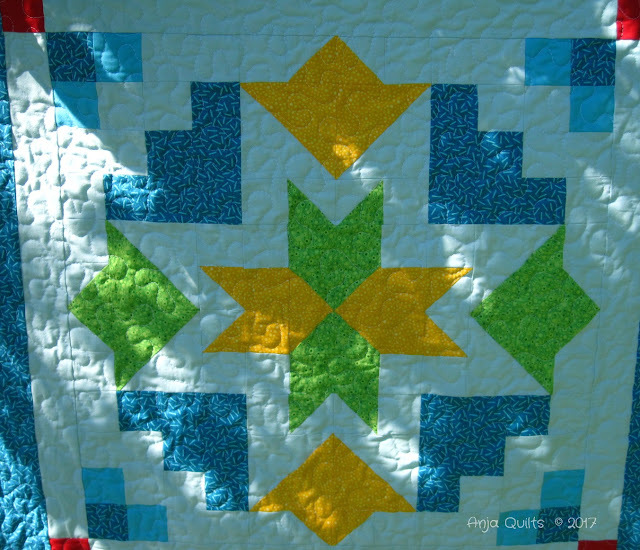 The winner of a copy the Star Blossom pattern by Tish @ Tish's Adventures in Wonderland and Dave @ Dave the Quilt Engineer is.....Heather J. Congratulations!! 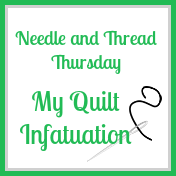 I have a small finish to show this week. 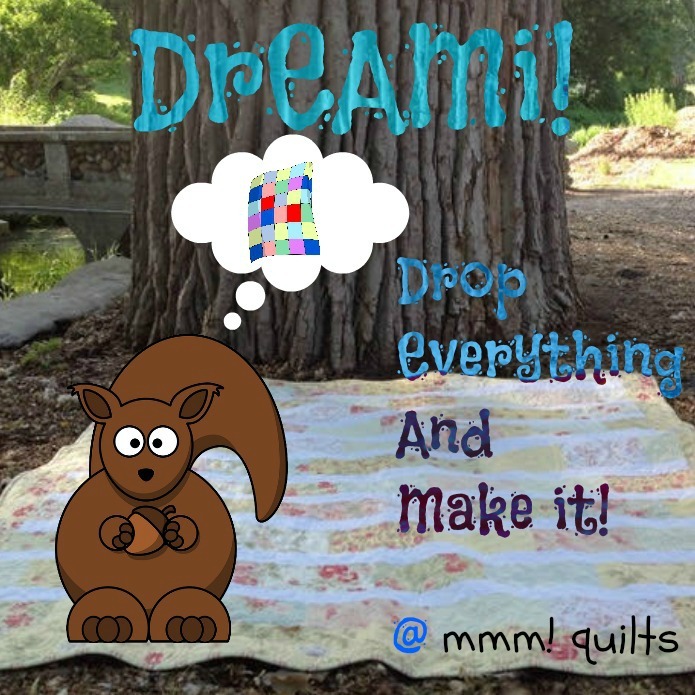 My quilt guild, Maritime Modern Quilt Guild, hosted a challenge to create something using words. I made a wall hanging which reflects my involvement in Girl Guides. The words printed in the two sides are from the song "On My Honour" -- which makes me cry every time I sing it. Here's a link to the lyrics of the song. 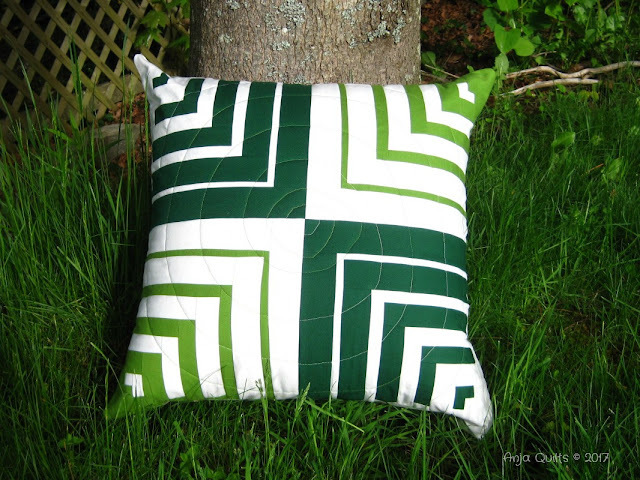 I've always wanted to print on fabric using my printer. My original plan was to print the entire chorus in all four borders, but alas....my printer got the better of me. I'm impressed with my first attempt, but there is a lot to learn about the finer points of feeding fabric through the printer. So I managed to get the two key lines: My honour is to try, and My duty is to love. 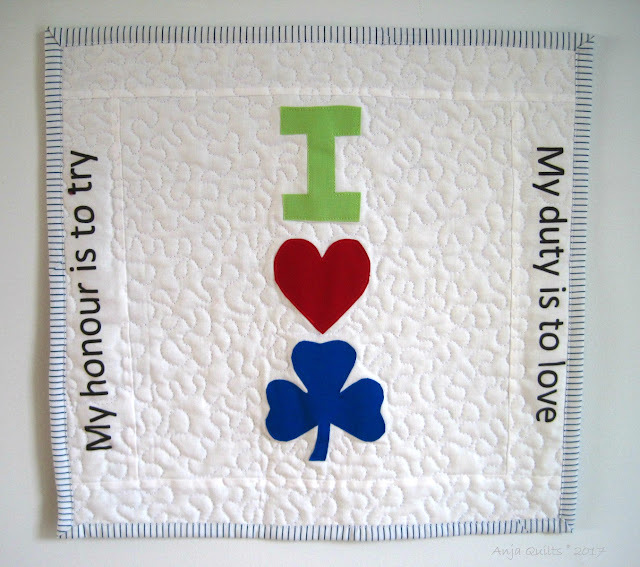 The binding is made from an old Girl Guide leader uniform shirt. The guild is holding an online vote to determine the winner of the challenge. 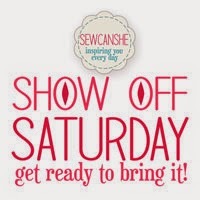 If you want to participate in the voting and choose your your favourite piece (pick me, pick me ☺), click here to vote. 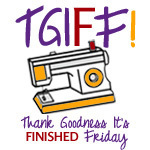 Welcome to Thank Goodness It's Finished Friday being hosted here in Dartmouth, Nova Scotia, Canada. My apologies for the late posting. As a result, the link up will stay open until midnight Sunday. 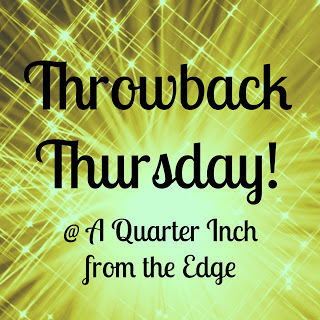 If you are new to my blog, welcome. 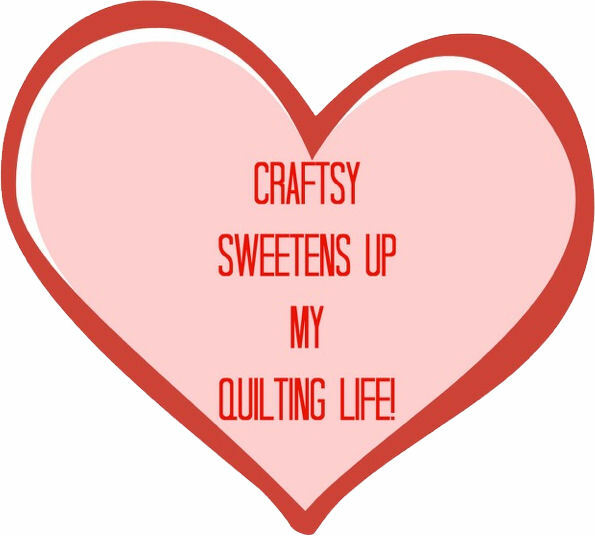 I hope you take a few minutes to look around to see some of my recent creations. I do hope you'll stop by again in the future. 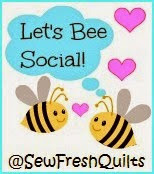 And welcome to my regular followers. 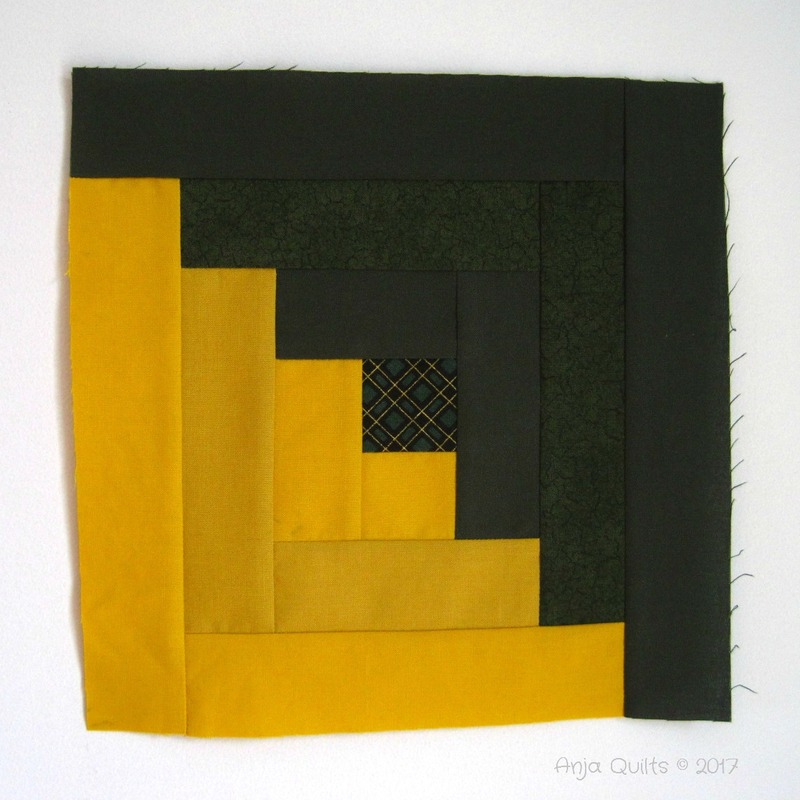 I finished my Quarter Round blocks that I showcased here. The pattern is by Krista @ Poppyprint. 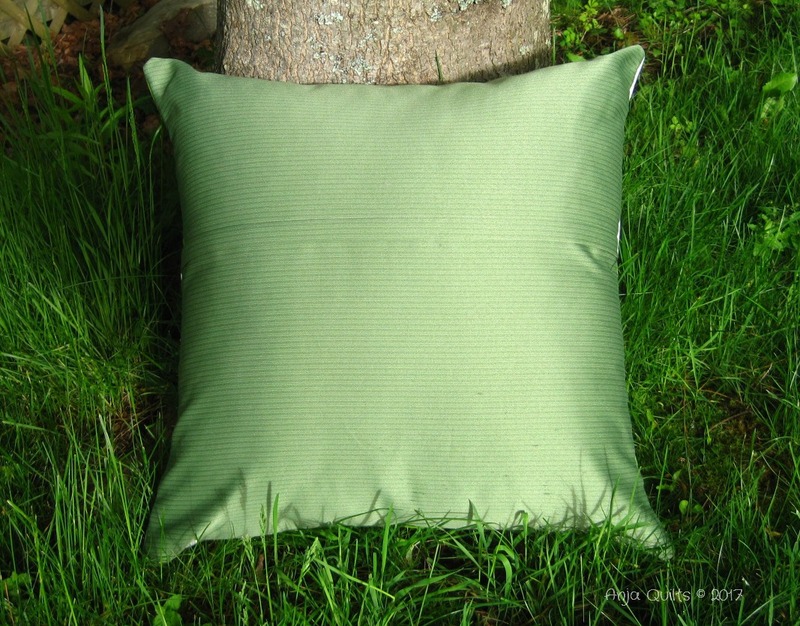 I used four 10.5-inch blocks to make a 20-inch pillow (which I have already gifted). I used a home decor fabric for the back, with a hidden zipper. I use this tutorial for installing the zipper. 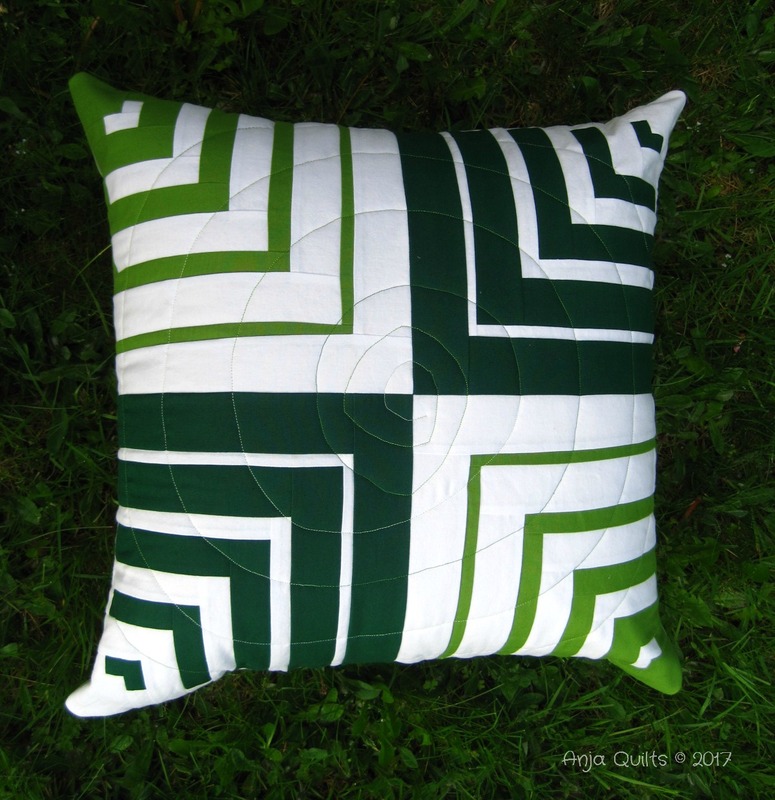 Unfortunately, you lose the illusion of the circle once you add the pillow form. 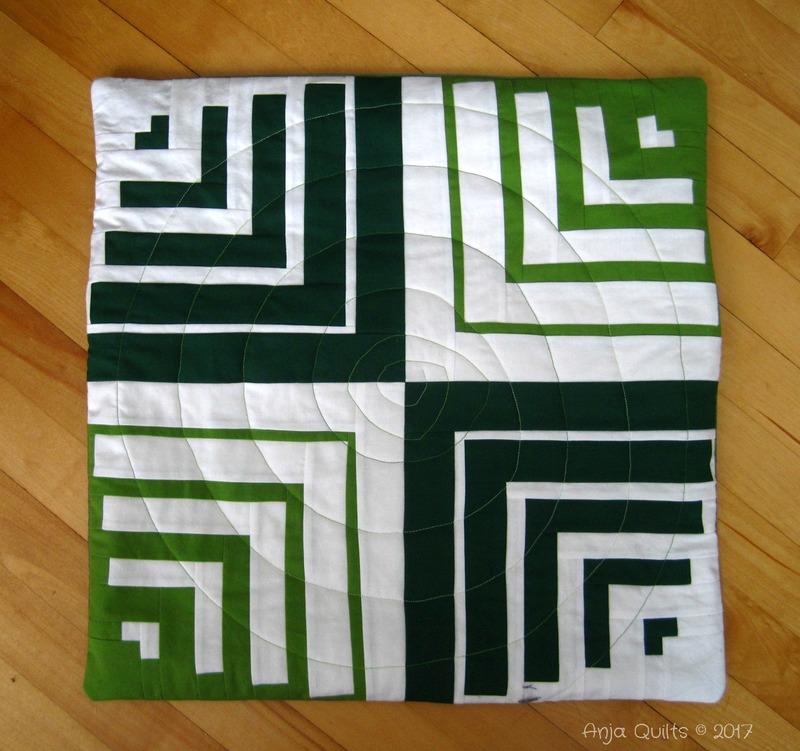 I would make this block again, but not to make a pillow.